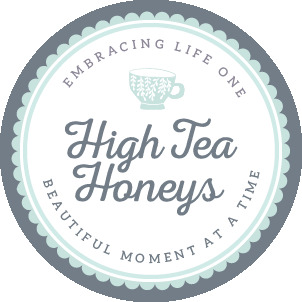 Here you will discover, visit and fall in love with the destination tea rooms, cakery’s and High Tea hot spots favoured by the High Tea Honeys all over New Zealand. Good for a relaxed cup of tea or coffee and a delicious cupcake or slice and High Tea. We love it because a cuppa and a good read is a one way ticket to a moment of pure happiness. Good for a relaxed cup of tea or coffee and a selection of cakes and treats to die for. Perfect for treating yourself and a girlfriend to a sweet treat for morning tea any day of the week. Perfect for a decadent special occasion High Tea under a spectacular chandelier. Great for a mid-city lunch time pick me up or a fun girls tea and cake date! Perfect for special occasion High Tea with a French influence and impeccable service. We highly recommend the champagne option. We love it because loaded brownie in central city, need we say more? We absolutely love that they run a mug library – all in the name of sustainability. Can I get a hell yeah?! Perfect for a celebration or very special occasion High Tea. The Lobby Lounge serves the decadent TWG range, we recommend “vanilla bourbon” tea. We love it because it’s been a while since we last visited and some of the High Tea Honeys still rave about how spectacular the High Tea was! We love it because first, the beautiful fine china and second, the cakes and slices are breathtaking masterpieces, the cabinet is a feast for your eyes. We love it because the cabinet is filled to the brim with cupcakes, layer cakes, brownie sandwiches and slices. The space is beautiful and they serve Harney & Sons tea. We recommend a caramel popcorn cupcake each and a pot of Paris tea for two. We love it because it’s the only self-proclaimed tea house in Wellington and has a beautiful selection of house blended teas matched to their extensive brunch menu. We love it because we love her sister company Seashore Cabaret! Miss Fortune’s is a fun retro space with great coffee and an outstanding menu. We love it because at Revive you can trust it will be a perfect cup of coffee and the tea is served just as well. The caramel espresso oat slice is equally divine! Perfect for a well made coffee, cheery service and an eye-watering selection of stunning cakes, biscuits and slices to try including GF and vegan options. The brunch menu is also second-to-none. We love it because the space is a gorgeous old barn converted into a cosy, delightful tea room. The layer cakes are a sight to behold! We love it because high tea on the pool terrace under the white silk-lined marquee is just as luxurious as it sounds. We love it because fresh flowers adorn a perfect Devonshire Tea with a fluffy scone and a darling range of beautiful teas served in gorgeous china. Perfect for a delicate macaron in all sorts of exotic, delectable flavours – with, of course, a cuppa on the side.